just minutes from Dodge Street. When you live at Lake Candlewood Apartments, you’ll momentarily leave the flat plains of the Midwest and enter a placid, inviting piece of Omaha. We created a living space and environment that brings back fond memories of ski lodges and log cabins. The interiors of our apartment units incorporate soft tones, vaulted ceilings, and real wood throughout. Our exteriors are full of mature trees and beautifully maintained grounds, Mother Nature is much closer than you think. Come find your home at Lake Candlewood. A beautiful afternoon walk is simply right outside your door. You’ll love the quiet, peaceful environment and the tremendous value in our apartments. So whether you’re just making your way in the world or ready to downsize to a low-maintenance lifestyle, Lake Candlewood is for you. Lake Candlewood is conveniently and centrally located just off 120th St. and North of Dodge. Enjoy quick access to the interstate and arrive anywhere in the metro area in about 15 minutes or less. Work Downtown? No problem. Need to venture way out West? Easy. Compare Lake Candlewood to any other Omaha apartments and you’ll find that our value is unbeatable. Our units offer far more space for the money and you’ll be pleasantly surprised by the amenities offered such as our oversized closets and vaulted ceilings. Get the most bang for your buck at Lake Candlewood. If something breaks or stops working, we will respond quickly. Our on-site maintenance staff can repair many problems right away. However, if the problem is bigger we work with many contractors who can get the job done. We have spent decades developing these relationships and you will be the beneficiary. Enjoy living without the hassle of maintenance that comes with home ownership. Lake Candlewood offers all the amenities you need to start enjoying apartment living. See our full list of amenities here. Our pool has been recently updated and offers crystal clear water to dip in during those hot Nebraska summers. All of our units have oversized closets that can hold your entire wardrobe plus additional storage space. 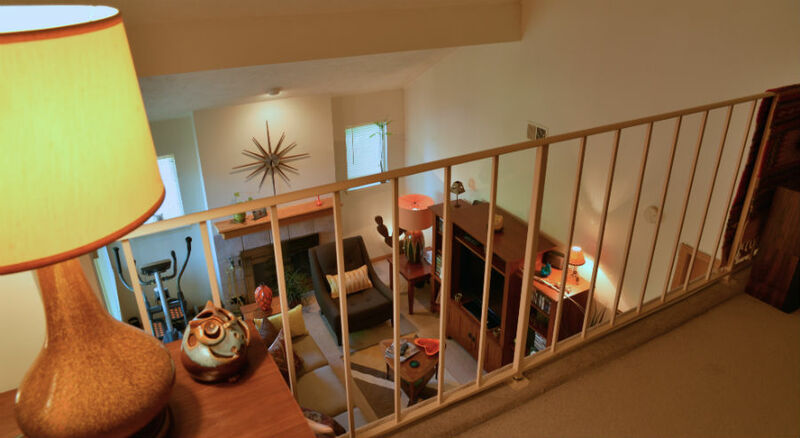 You might have a view of Lake Candlewood or feel like you’re in a treehouse.